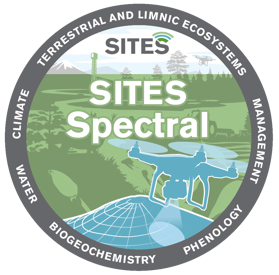 SITES Spectral is an infrastructure for collecting spectral data for ecosystem monitoring. Through this infrastructure, SITES can provide data for research related to climate change, carbon and greenhouse gas balances, phenology, general ecology and biodiversity and plant science. 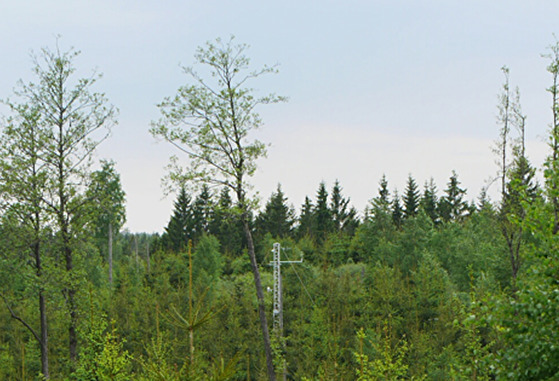 SITES Spectral is an infrastructure for collecting spectral data for ecosystem measurements. 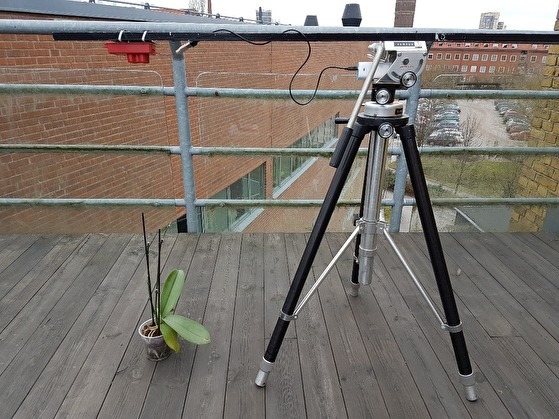 By fixed and mobile multispectral sensors and cameras seasonal and inter-annual variations in vegetation conditions are captured over small and intermediate areas. 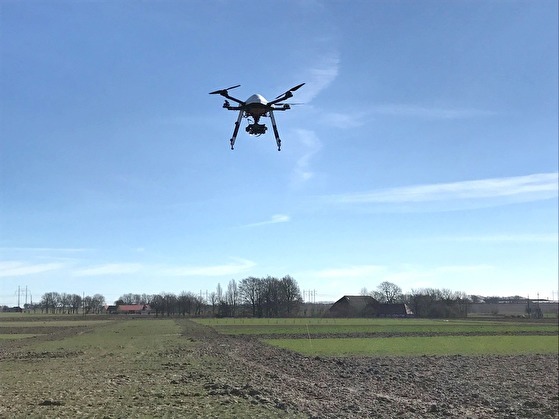 The SITES Spectral instrument setup consists of multispectral sensors, phenology cameras and UAV:s.
The collected data is relevant to the studies of a number of processes in the ecosystems; for example, productivity, efficiency of use of light and moisture conditions. Through this initiative SITES can provide data for research related to e.g. climate change, carbon and greenhouse gas balances, phenology, general ecology and biodiversity and plant science. How does SITES Spectral work? Fixed and mobile (UAVs) multispectral sensors record incoming and reflected solar radiation in visible and near infrared wavelength channels. The Spectral signals from vegetation carry dynamic information on a range of vegetation properties, e.g. phenological state, biomass, leaf area development, leaf biochemical constituents (nitrogen, water, chlorophyll etc. ), and photosynthetic light use absorption. By spectral measurementso f vegetation growth and development, vegetation properties and processes can be estimated. SITES Spectral also facilitates the ability to measure how efficiently light is converted to carbon including other biophysical processes. 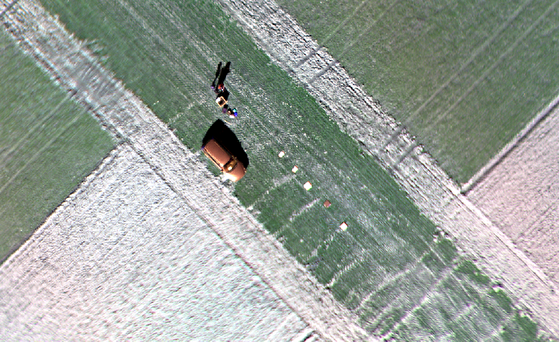 The SITES Spectral equipment also includes phenological cameras and the possibly to measure larger across areas from unmanned aerial vehicles (UAVs). The combination of these different instruments and their operational scale ensure integrated observations of environmental processes at different spatial and temporal scales, and will form a unique and invaluable resource for upscaling via remote sensing satellites. Do you know SITES NordSpec, it was renamed in mid-October 2016 to SITES Spectral. Same content, different name! Eight of SITES nine stations participate in SITES Spectral. These locations cover a wide range of landscape characteristics and climatic gradients. Each station participate 2-4 sites of fixed multispectral sensors which covers different types of tree development stages, peatlands, mountain heats and agricultural lands. 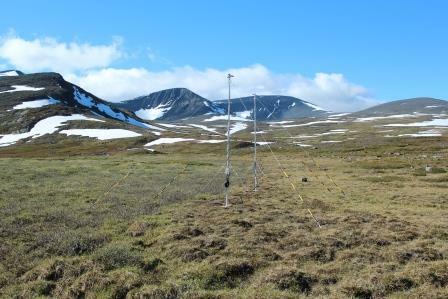 Data is collected continuously throughout the year at all stations except Tarfala due to short field season. SITES Spectral cover small to local scales by using fixed multispectral sensors mounted in masts or towers, phenologycal cameras and multispectral sensors in UAV:s.
The multispectral fixed sensors cover, at each site, local differences and specific landscape elements e.g, forest, agricultural fields, mires, alpine heaths, alpine aso. A phenology camera are accompanied each of the multispectral fixed sites? At stations UAW are used for weekly/monthly flights covering a larger area of each site. The results from these instruments are processed together and different indices e.g. NDVI, PPI and PAR are produced. To achieve high quality data the equipment undergoes regular calibrations. SITES Spectral facilitates investigations of a range of processes and properties in the ecosystems, e.g. productivity, light use efficiency and moisture conditions. Where most important research relates to climate change, carbon and greenhouse gas balances, phenology, general ecology and biodiversity, plant science, and act as a basis for upscaling and validation of remotely sensed measurements. SITES Spectral is an infrastructure with open data, the measurement programs collected by these instruments are freely available for everyone to use. Biomass, vegetation productivity, health, disturbances etc. The possibilities of combining these different instruments are a resource for remote sensing satellites. The same indices generated in SITES Spectral are also formed from satellite data and together they can be used to scale and inter-calibrate remote sensing data by enable precise characterization of both spatial and temporal dynamics of the sites. Remote sensing from satellites is important for understanding spatial and temporal variations across larger areas (local – global) and through time. Vegetation indices from satellite sensor data have been shown to be strongly related to phenology and to vegetation productivity and carbon uptake through physical relationships with leaf area index (LAI), and fractional absorbed photosynthetically active radiation (fPAR) (Rautiainen et al. 2010). This fundamental capability has enabled estimation of gross primary productivity (GPP) and net ecosystem exchange (NEE) as demonstrated across several ecosystems, including Swedish forests and peatlands (Sims et al. 2006, Potter et al. 2007, Olofsson et al. 2008, Schubert et al. 2010, 2012). from satellite data (Eklundh et al. 2009, Olsson et al. 2012)..
Two types of fixed spectral sensors are used, Skye and Decagon. Each device are mounted pairwise, measuring incoming and reflected radiation. 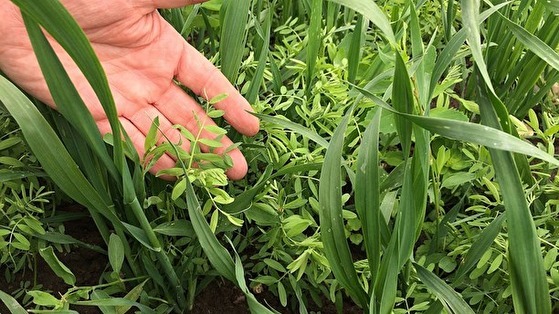 Skye instruments measuring in four visible (VIS) and four near-infrared (NIR)/Short wave infrared (SWIR) wavelength bands, enabling estimation of vegetation productivity as well as light use efficiency and moisture status. Decagon Devices measure in visible (VIS) and near-infrared (NIR) bands for vegetation productivity and light use efficiency. Some Decagon VIS/NIR sensors are placed below the canopies for measurement of the forest floor vegetation. In cropland sensors are mounted close above selected crop fields. 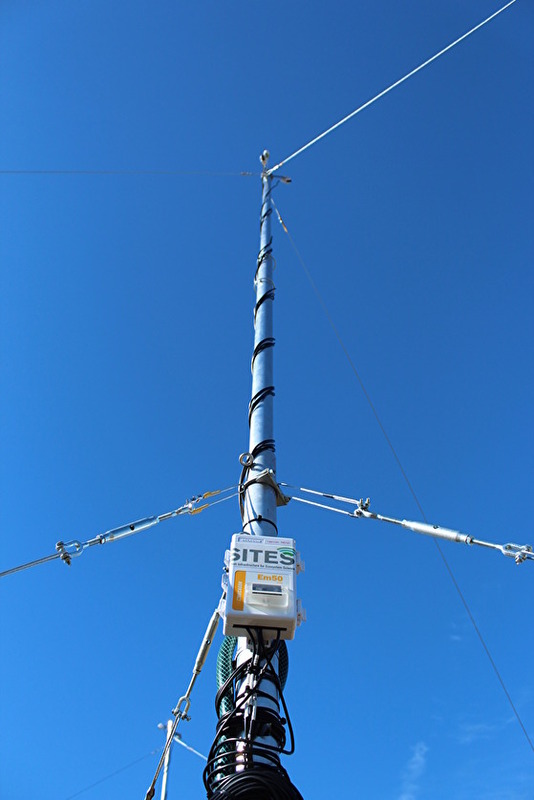 All fixed sensors are mounted in masts/towers for best possible overview of the vegetation, and measure with 5-min interval year-round, they are sensors are calibrated yearly. SITES Spectral facilitates several UAVs, bot drones and a fixed wing. They can have mounted spectral sensors and cameras when flying over larger areas for data collection compared to the sensors fixed in masts. The UAVs and their equipment carried at a flight is a complement to the fixed sensors in masts and in-between satellite data. Equipment to mount the UAVs with are multispectral camera, red-green-blue (RGB) camera and a thermal camera. Frequency of flights varies between stations due to season and length of activity at the station, regularly once a month during active growing season. Data deliveries from the UAWs are complements to the fixed sensors of listed indices above. The UWAs also makes it possible to create maps of the sites displaying e.g. seasonal vegetation development and 3D point clouds. Phenological cameras (phenocams) are used for phenological monitoring e.g greeness index, snow, and observing weather events at the stations. E.g. development of birch leaf, and the following defoliation in autumn. Phenocams are located in several different ecosystem types and micro habitats within SITES e.g. agricultural field, lakes, alpine heath and different development stages of forests. 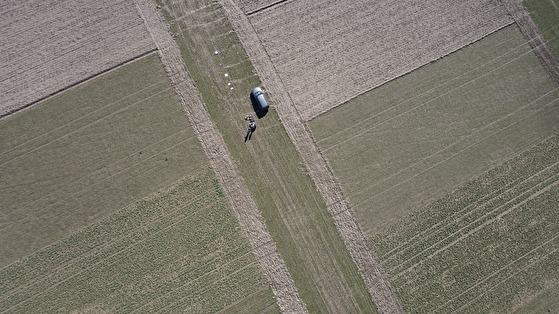 Phenocams are also used to compare/validate info from the fixed spectral sensors and the UAVs etc.